The future of Sky Bars and Sweethearts is in limbo after the NECCO factory closed this week. 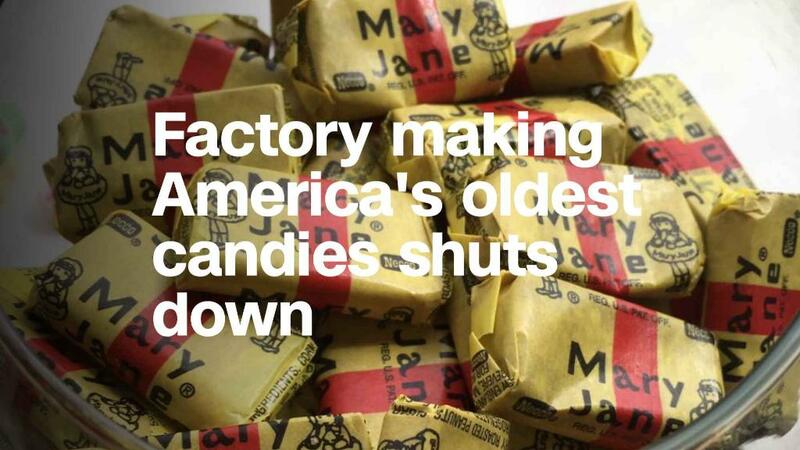 The NECCO plant in Revere, Massachusetts, was shut suddenly Tuesday by its owner, Round Hill Investments LLC, The investment company, owned by billionaire C. Dean Metropolous, bought NECCO out of bankruptcy in May for $17.3 million. The news was first reported by The Boston Globe. "We are disappointed that Round Hill could not follow through on the enthusiasm it expressed when it acquired Necco barely two months ago," said Revere Mayor Brian Arrigo in a statement. Arrigo said he was disappointed that the city received no advance word about the plant's closing, but he was encouraged that six private food service companies have already expressed interest in interviewing the former NECCO factory workers. "We are gratified, certainly, that the private sector is in a position to help these workers," said the Mayor. "But that doesn't lessen our exasperation with the way Round Hill went about the process." Metropolous & Co. is a major investor in a number of food and drink brands, including Aunt Jemima, Chef Boyardee, Ghirardelli Chocolate and Utz. A subsidiary of the company, Round Hill, also bought Hostess Brands in 2013, saving Twinkies from extinction. Round Hill sold NECCO to an unnamed company,. It's not clear whether that company will continue to produce NECCO's Sweethearts, NECCO Wafers, Clark Bars and Mighty Malts. The factory employed 230 workers. They were told not to return to work, apart from to pick up final paychecks on Friday, the Globe said. Operating since 1847 under various names, the New England Confectionery Company is the oldest continuously running candy company in America.